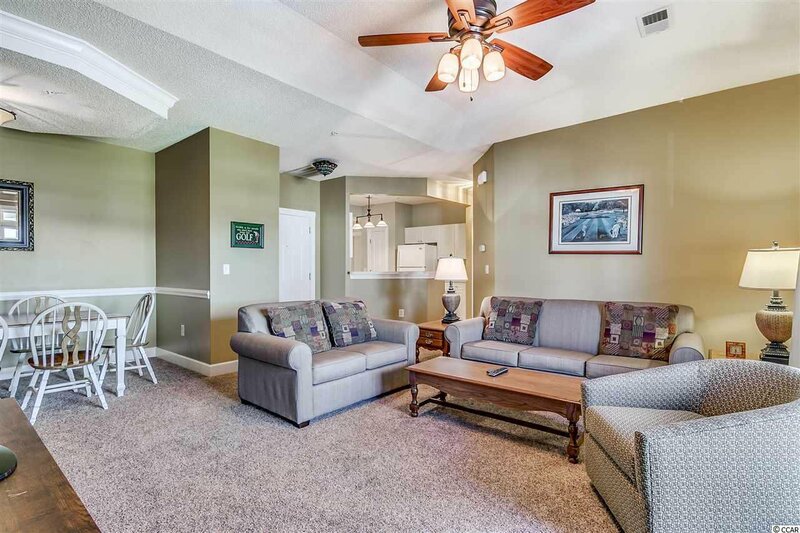 This top floor, fully-furnished 2 bedroom, 2 bath condo in Barefoot Resort’s Harbour Cove comes with a private garage and an elevator in the building. 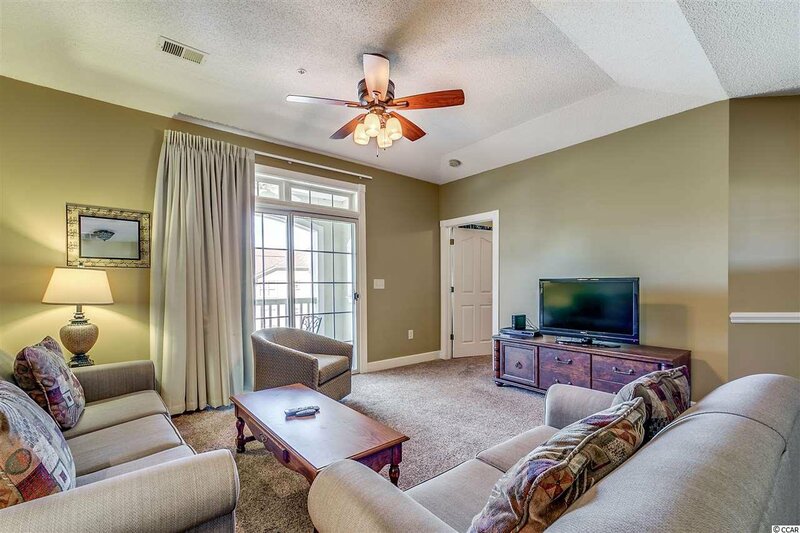 This Capri floor plan is bright and open with 1343 heated sqft. 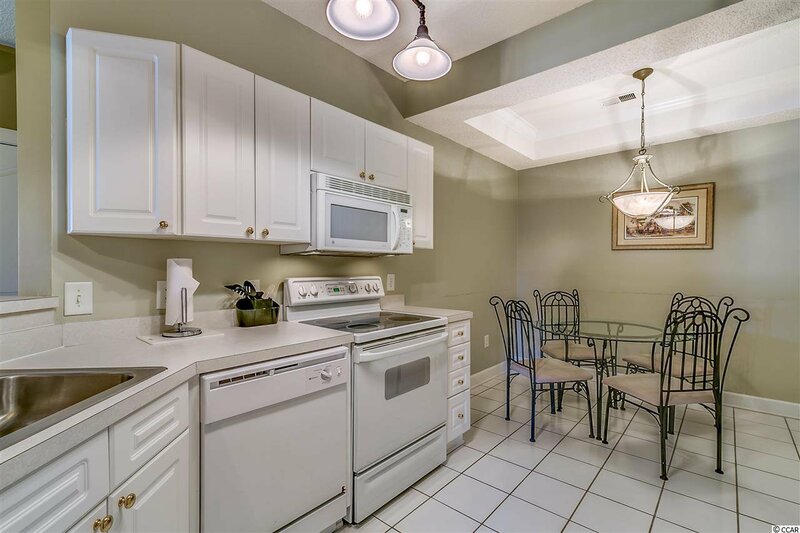 This well-maintained condo has a new 50 gallon hot water heater with a booster (2017), new HVAC (2016), new carpet in living room, dining room and bedrooms (2016), new living room furniture and drapes (2016). 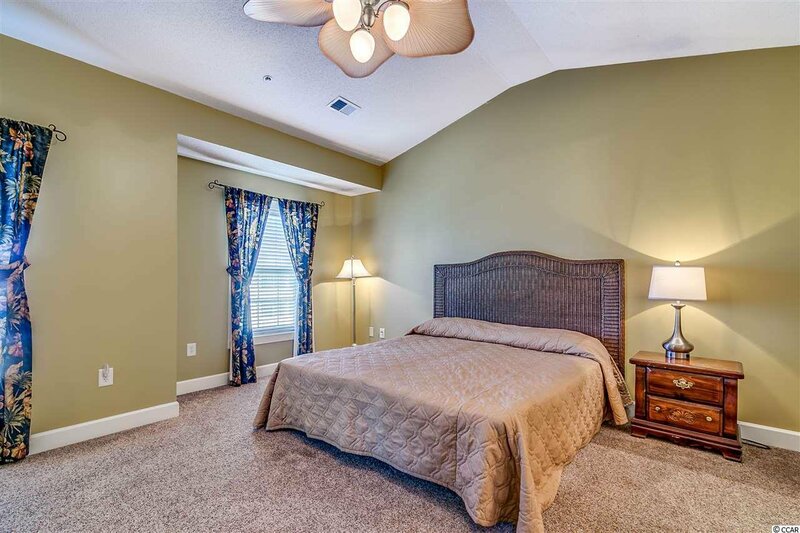 Condo easily sleeps 6 with a king bed in the master bedroom, twin beds in guest bedroom and a sleeper sofa in living room. 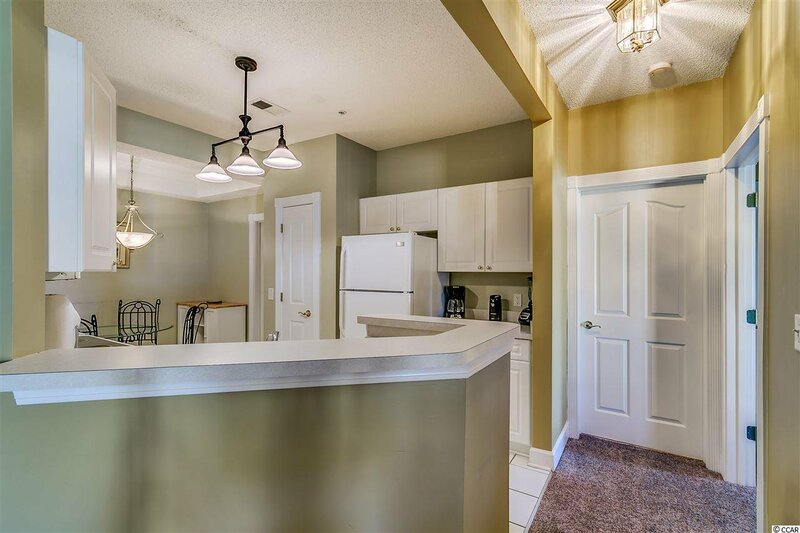 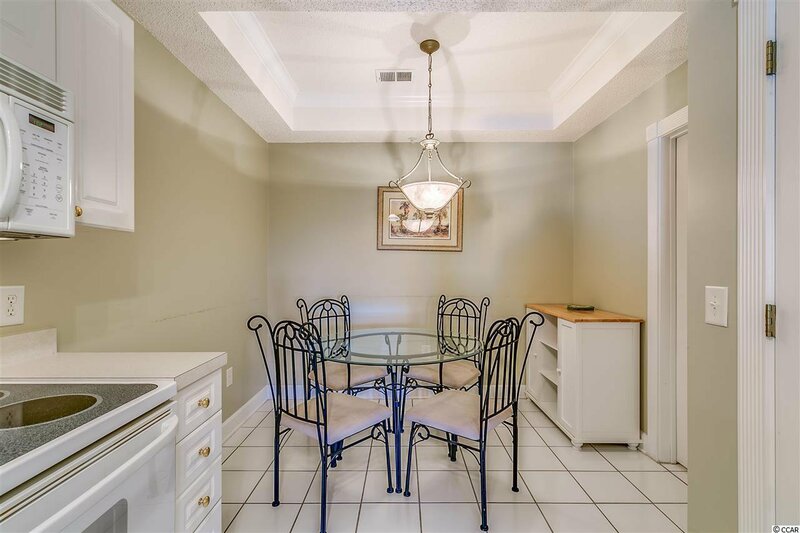 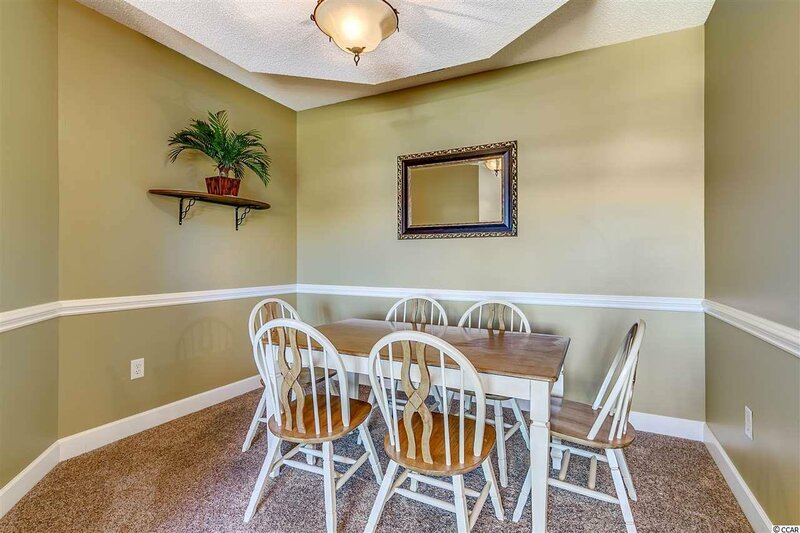 Condo has both an eat-in kitchen and a formal dining area. 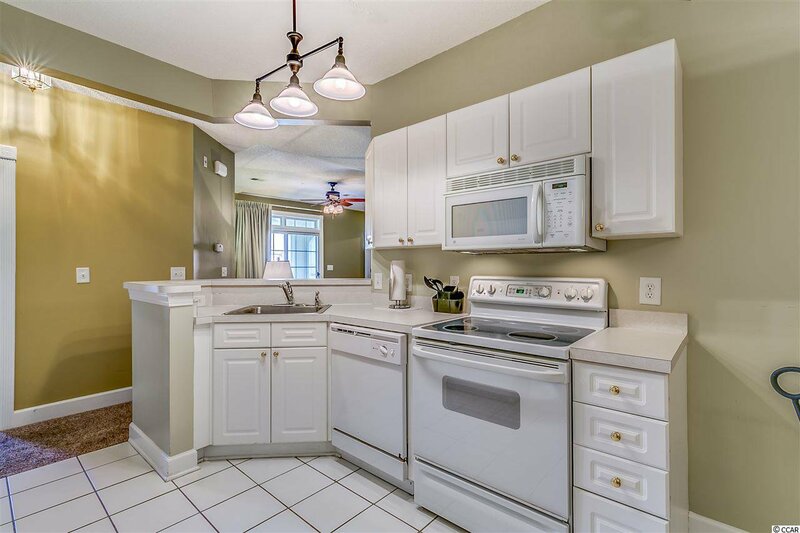 Kitchen has tile floor, white cabinets and appliances and has open views into living room. 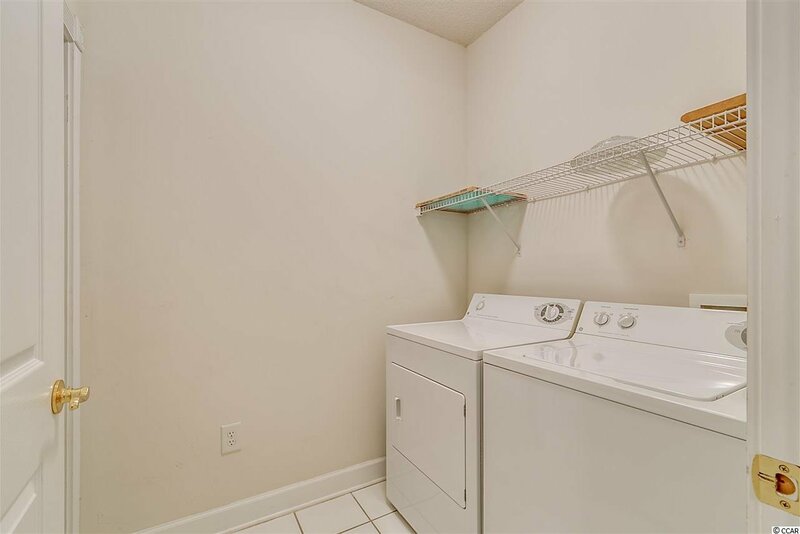 Just off the kitchen is the laundry room with side-by-side washer & dryer. 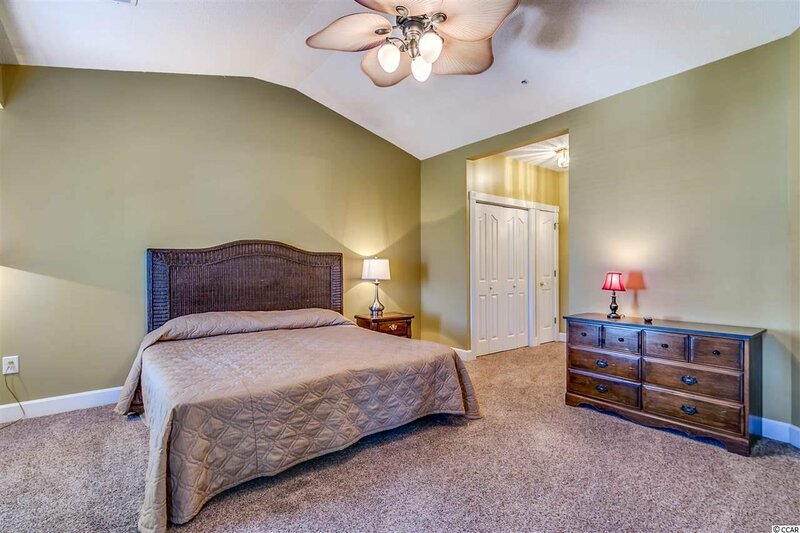 The oversized master bedroom has vaulted ceilings and two walk-in closets; one that locks to serve as the owners closet. 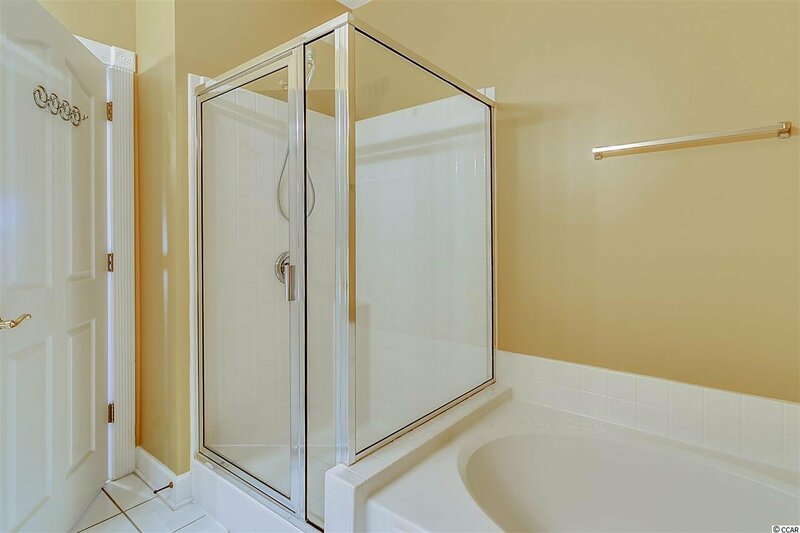 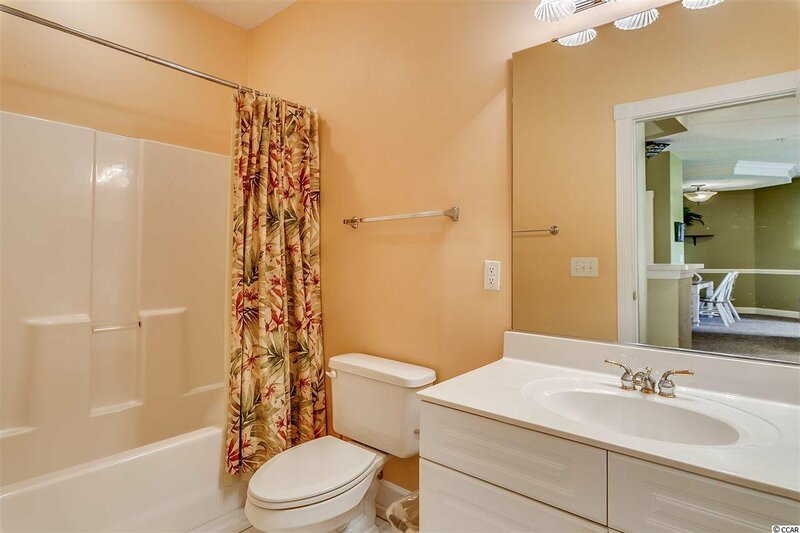 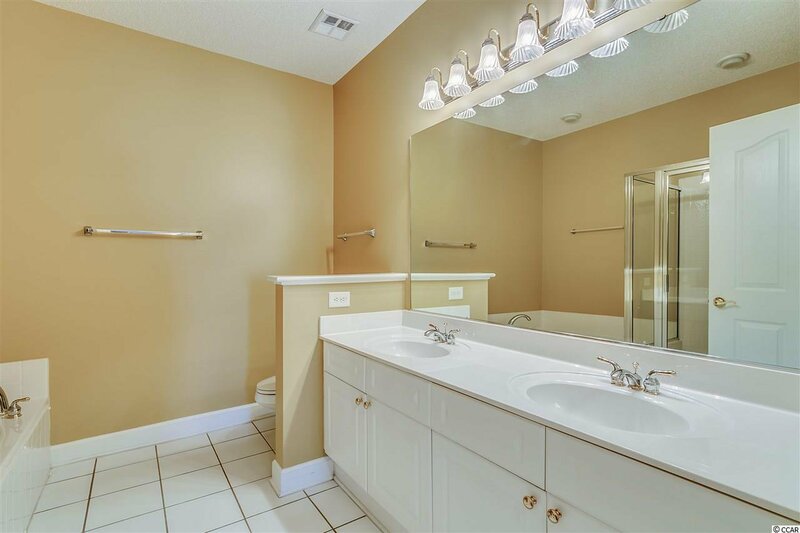 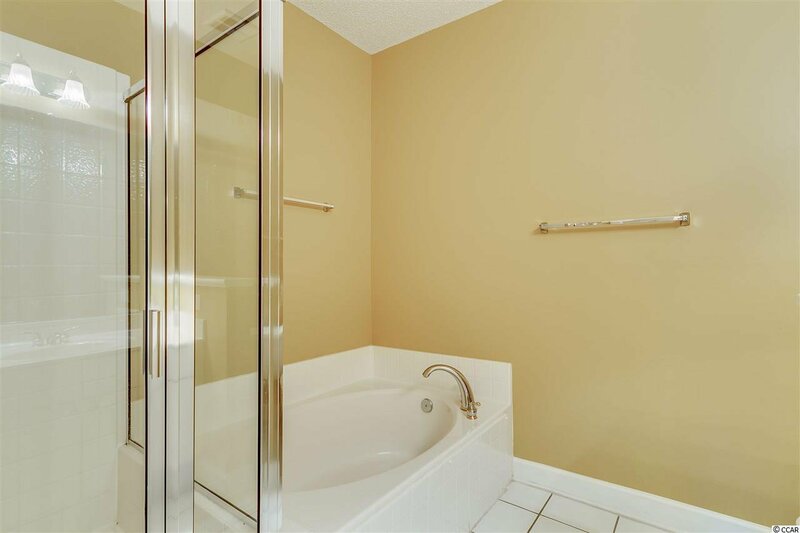 The master bathroom has double sinks, a large soaking tub and separate shower. 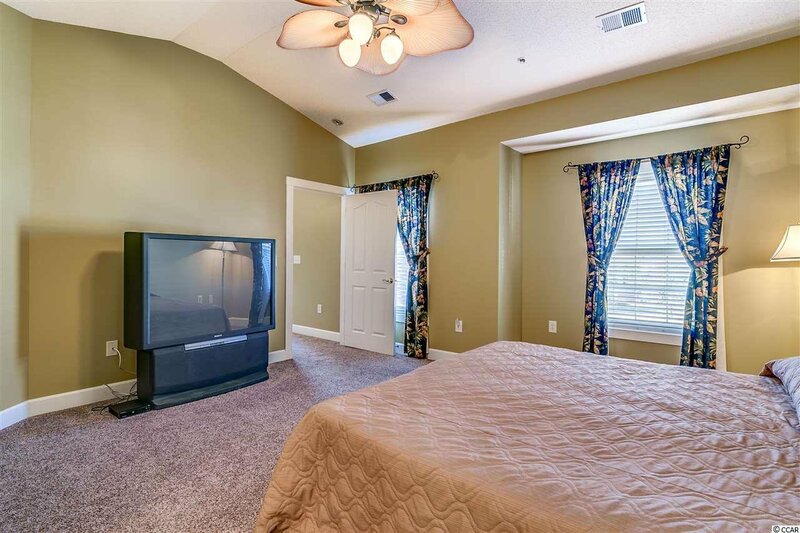 Both bedrooms and the living room have ceiling fans. 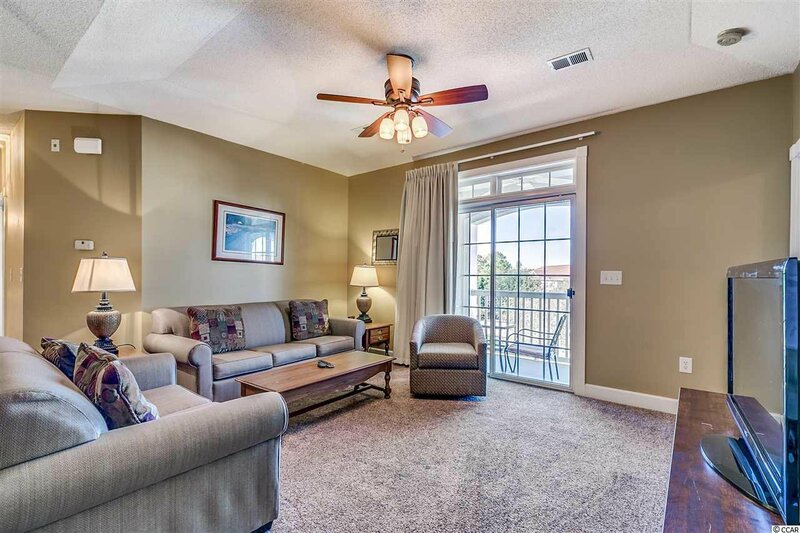 The living room has a tray ceiling and sliding doors to the 11’x6’ balcony which also has a ceiling fan for those warm summer days. 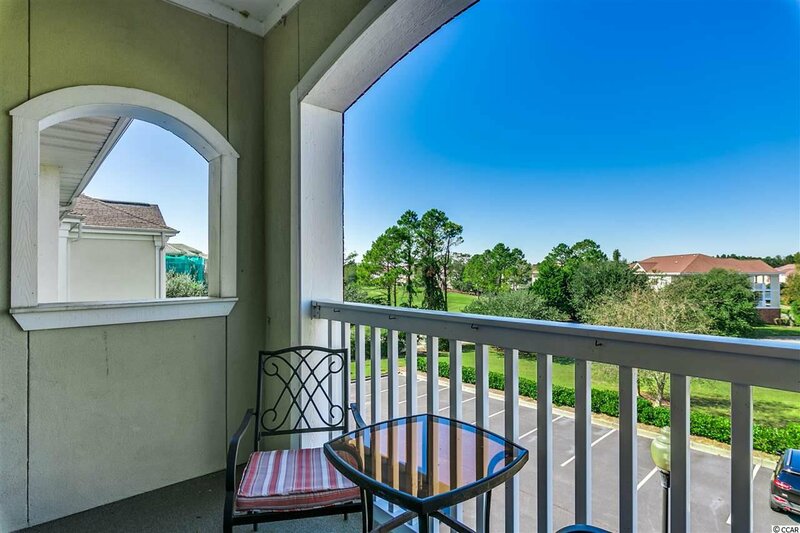 View from the balcony is the 12th green on the Greg Norman course. 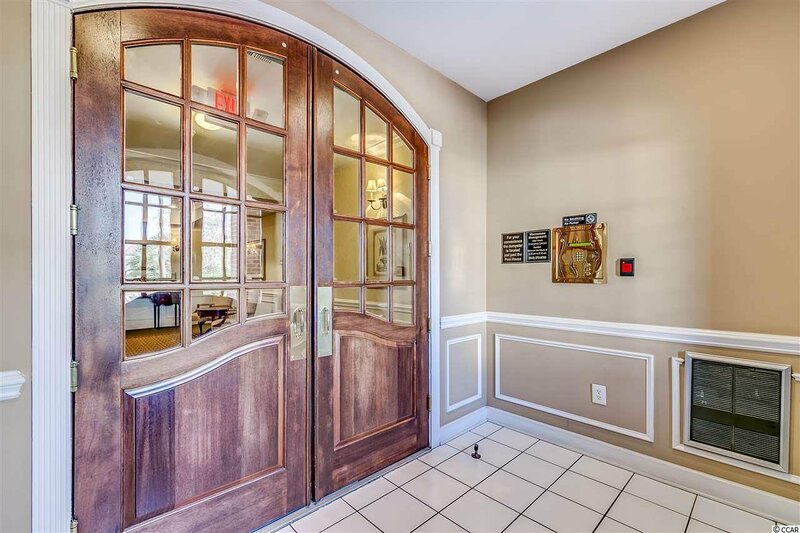 HOA fees include water, sewer, basic cable, building insurance, landscape/lawn maintenance, pool maintenance, exterior building maintenance and interior/exterior pest control. 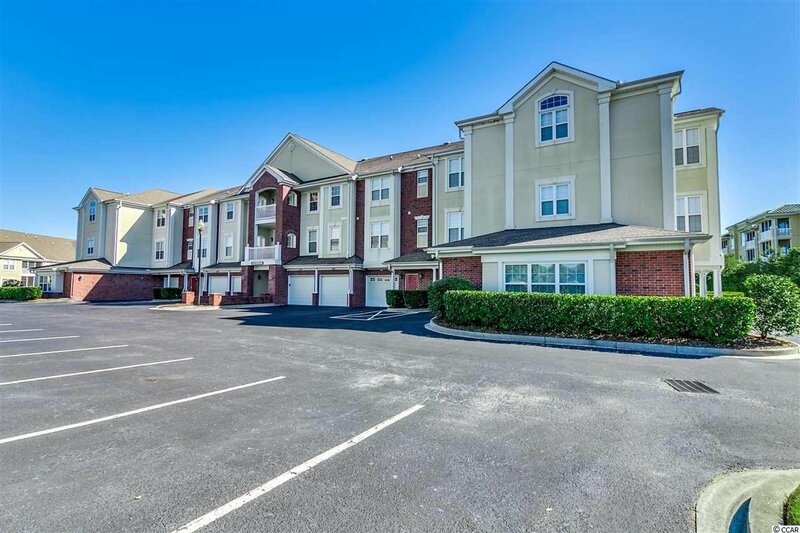 Building is secured with a fob/PIN activated front door. 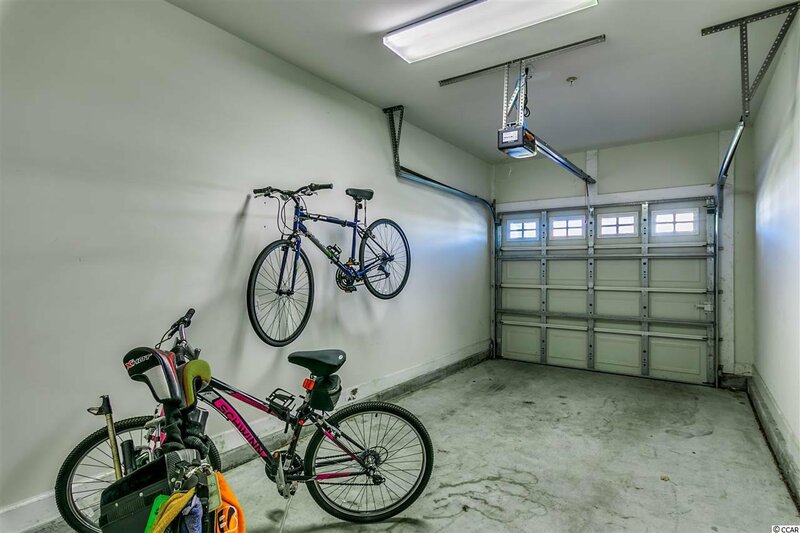 Owners are allowed golf carts and must be parked in the owner’s garage. 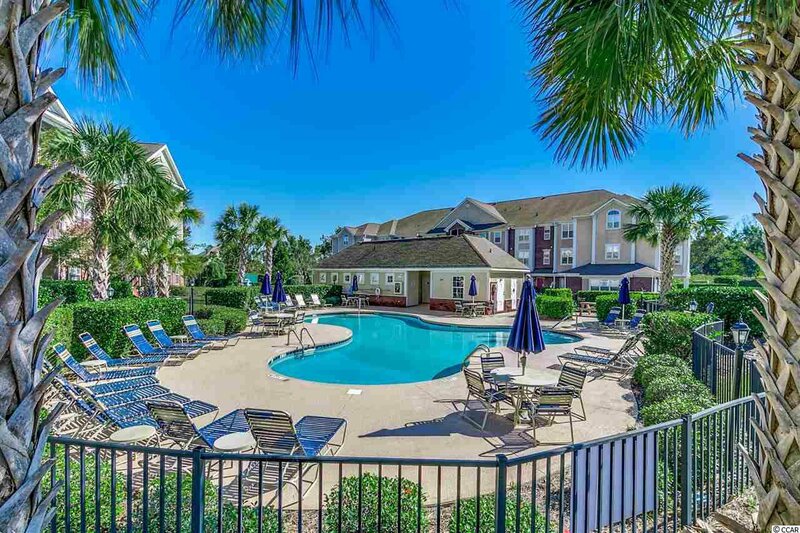 Amenities in Barefoot Resort include access to the ocean front Beach Cabana with gated parking, shuttle service to and from Cabana (Memorial Day through Oct), access to a huge salt water pool overlooking the Intracoastal Waterway, the Marina, and 4 onsite restaurants. 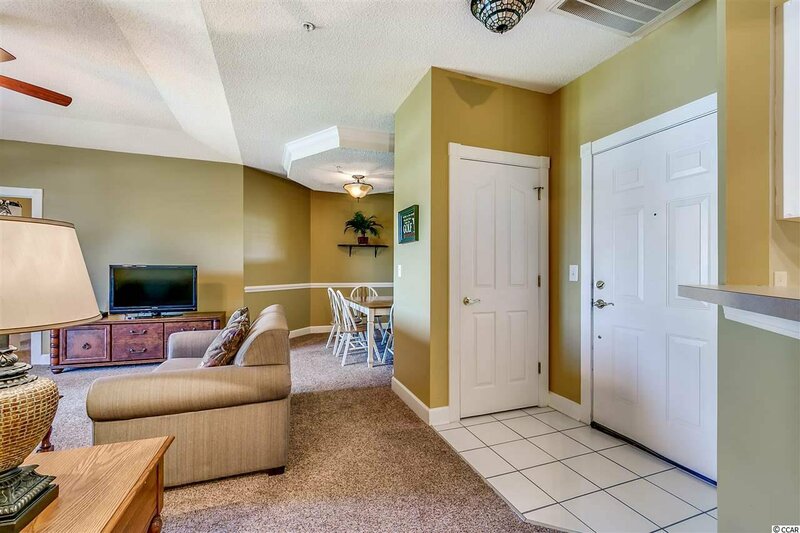 Come see this well-maintained condo with plenty of square footage and beautiful views today. 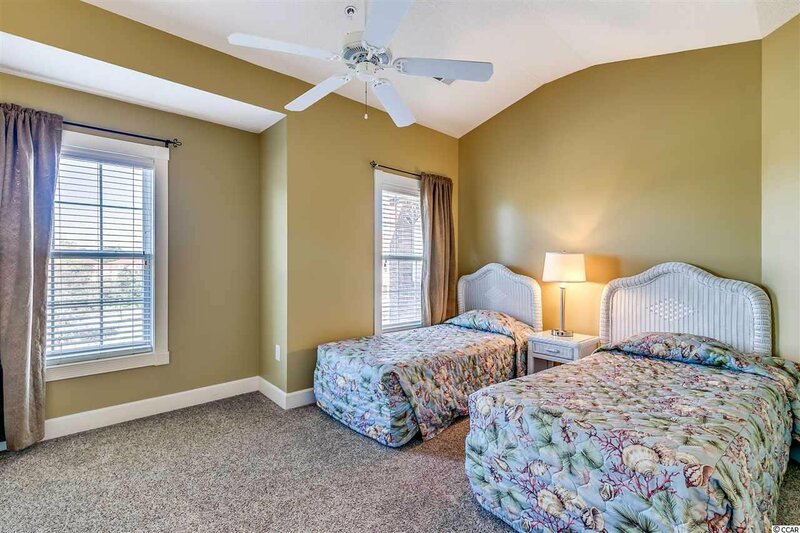 So close to golfing, restaurants, shopping, entertainment, and of course…the beach! 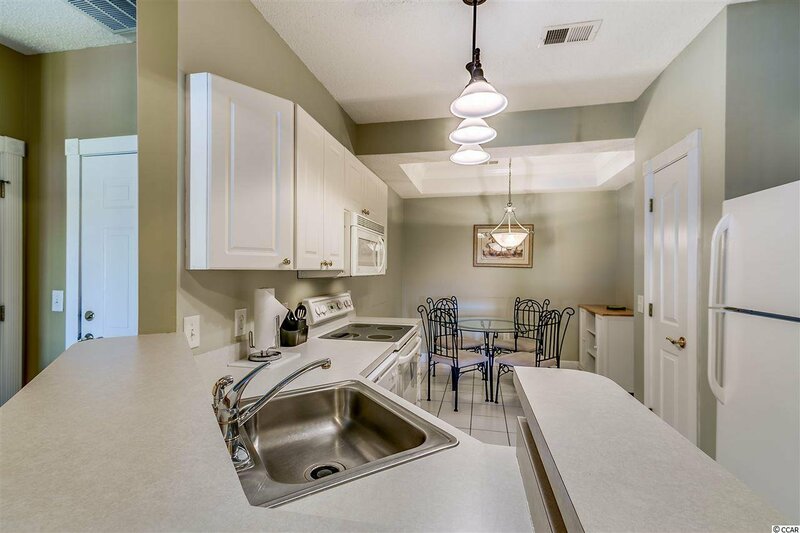 Listing courtesy of RE/MAX Southern Shores NMB , Kirk Nobles. 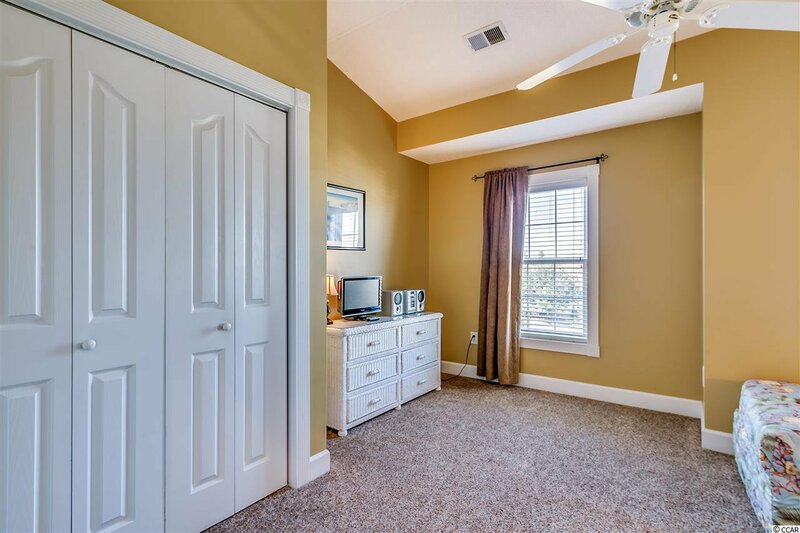 Selling Office: Keller Williams MB S. Realty , Kristopher Dumas.